2019 The 2nd International Conference on Advanced Mechanical and Electrical Engineering (AMEE 2019) will be held in Shanghai, China, during December 20-22, 2019. The conference will serve as an international forum for the presentation and exchange of technological advances and research results in the broad fields of Advanced Mechanical and Electrical Engineering. We warmly welcome prospective authors to submit research papers to AMEE, and share your latest research results and valuable experiences with other top-scientists, engineers and scholars from all over the world. You will need an account to upload your paper. Please register first if you don't have the account. 2. Official language of the conference for publication is English. 2. Official language of the conference for oral presentation is ENGLISH. 3. There are two types of Presentation, Oral and Poster. Please kindly indicate your choice in advance. 1. As an international event, those who are interested in the area of Advanced Mechanical and Electrical Engineering are warmly welcome. 2. Please download the registration form and feedback to amee_conf@yeah.net. "LSI Testing: A Core Technology to a Successful Semiconductor Industry"
"Multi-Robot Collision Avoidance and Applications"
"The Different of Smart Agriculture (SA) and Intelligent Agriculture (IA) & Each Key Technologies"
AMEE 2019 will be held in Shanghai during December 20-22, 2019. 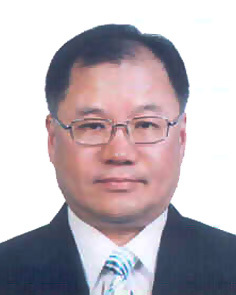 Welcome Prof. Thananchai Leephakpreeda from Thammasat University, Thailand to join the committee. (click). 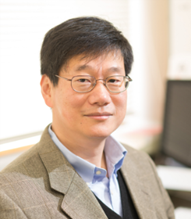 Welcome IEEE Fellow Prof. Beom Hee Lee from Seoul National University to deliver a speech. (click).